These simple essential oil infused shower disks will turn your shower into a spa-like bathroom in no time. When you think of a relaxing luxurious, great smelling spa bathroom, I am sure most of you picture a bath. Yet how many of us take baths everyday or even once a week? Showers are much more common, they are quicker, and easier than filling up a tub. So how do turn your shower into a essential oil infused experience? 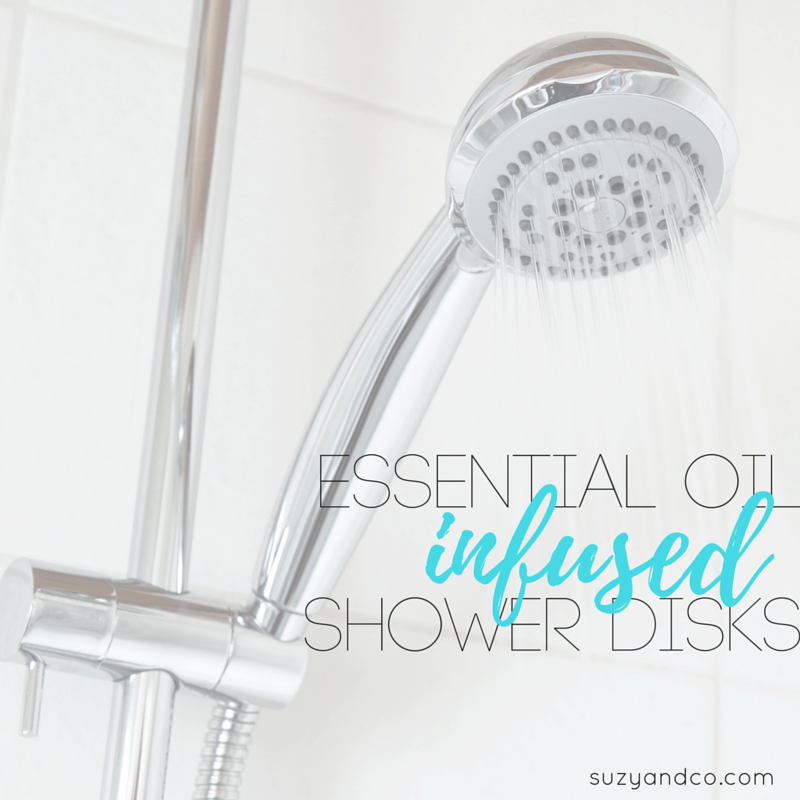 Essential Oil Shower Disks. When you take a shower, you put these disks on the floor and they will slowly start to dissolve and release the oils in your shower. Mix the cornstarch, baking soda, and water in a bowl until you have a thick paste. Pour into a muffin pan lined with papers or use one of these. After the disks have cooled, add 6-10 drops of essential oils. I usually will wait and add the oils a few minutes before I am ready to take a shower. This way I can change it up depending on my mood or the day. Here are a few of my favorite combos to infuse the disks with. There are so many fantastic combinations you could do. Experiment with some of your favorite oils to find what you like best.